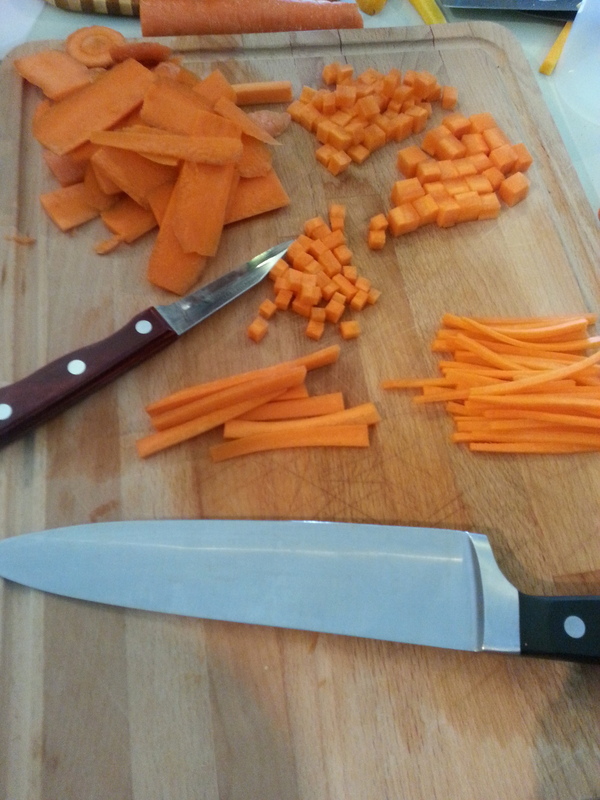 This weekend, chef Brittany Anderson led a knife skills class at Little House. Students learned many new techniques and to Juileanne like pros. A big thanks to chef Brittany and to all who joined us! Our class instructor, Chef Brittany Anderson, with husband Kjell. Brittany is the chef/owner of the soon-to-open Metzger Bar and Butchery in Church Hill. 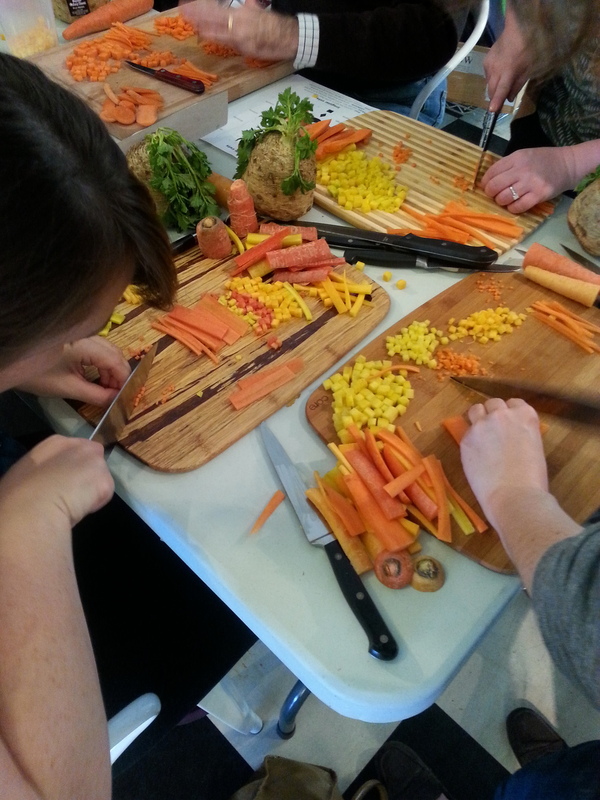 Students did a lot of chopping!